Book Fold Mailers are an easy, fast and economical mailing option. 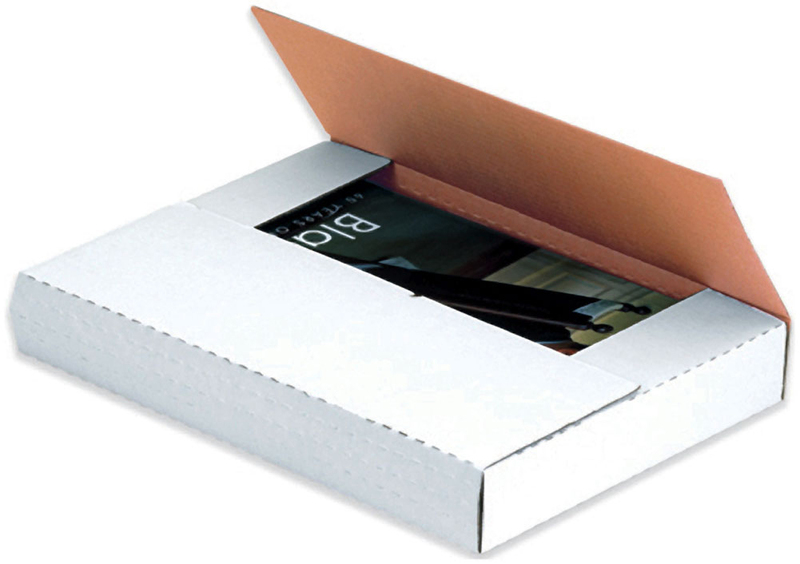 These variable-depth Bookfold Mailers help reduce the need for multiple boxes. One-piece corrugated construction, with multiple scores folds to variable depths. Light-weight and strong construction of 200# test, B-flute corrugated fiberboard. Shipped flat in bundles. Inside Dimensions (inches): Length" x Width" x Depth"
These boxes have 1, 2, 3 or 4 different depth adjustments! All Book Fold Mailers are sold in bundles only. 9+5%2F8%22|10+1%2F4%22|11+1%2F8%22|12+1%2F8%22|12+1%2F2%22|14+1%2F8%22|15%22|17+1%2F8%226+5%2F8%22|8+1%2F4%22|8+5%2F8%22|9+1%2F8%22|10+1%2F4%22|11+1%2F8%22|12+1%2F2%22|14+1%2F8%22 Width9 5/8"10 1/4"11 1/8"12 1/8"12 1/2"14 1/8"15"17 1/8" Length6 5/8"8 1/4"8 5/8"9 1/8"10 1/4"11 1/8"12 1/2"14 1/8"